The North Korean missile test today was long expected, and given the suspended nature of South Korean and US diplomacy toward the DPRK, seemingly inevitable. It was illegal in the context of UN resolutions 1718 and 1874, and will provoke further sanctions, unilaterally if not by the UNSC. There are several issues that this test brings to the fore. First, in terms of missile capability, it is an advance for the North Korean program, regardless of that program’s purpose. However, according to most experts the US mainland is still several years away from being threatened by these capabilities. Most importantly for the DPRK leadership, this new achievement helps advance a narrative of technological advancement and national modernity that is very important to their image of competence before the public and elites. The need to have a tangible symbol of commemoration for the 100th birthday of DPRK founder Kim Il Sung before the end of 2012, together with recognition of the one year anniversary of the death of Kim Jong Il, has seemed almost existential for the new leader, Kim Jung Un. A palpable sense of relief may be the most widespread emotion in the government today. Only seven months ago the North was roundly mocked for its previous failed launch, and another failure would have called its missile program’s near-term viability into question. Secondly, in its regional political impact the missile test/satellite launch is unlikely to change calculations in Tokyo, Seoul or Beijing. If anything the post-launch atmospherics will be likely to marginally help the conservative candidates in the Japanese elections on 16 December and South Korean election on 19 December. There is little evidence the Chinese leadership harbors any meaningful divisions on the question of overall support for North Korea’s leadership, having over the past two years engineered a broader and deeper strategic, long-term economic and political embrace. The launch will certainly complicate diplomacy for the new Xi Jinping team in the short run, but it likely views the impact of a rupture in the China-North Korea relationship as far more harmful and unpredictable than the criticisms that will come from other parties and the UN Security Council if they refuse to forcefully condemn the DPRK. Regarding the seemingly successful nature of this launch, Chinese strategists had more to fear from a newly humiliated and further isolated neighbor (had the launch failed) than from the relieved – if not emboldened – regime that can celebrate this technological achievement today. Thirdly, in terms of strategic impact on the security picture in Northeast Asia, the test is of minor consequence. The nascent capability the DPRK is building toward is useful only until it is made explicit, and then it becomes a suicide capability. There still remains the open question of what kind of deal the North would make in exchange for the things it has said it wants – a question that has not been answered with any specificity since it was last tested back in 2000. The effectiveness of the US and ROK policies of containment toward the potential threat of DPRK weapons and missile systems is no less in question today than it was yesterday. That policy has always been critically permeable, as evidenced by ongoing missile cooperation between North Korea and Iran. The North’s growing capabilities for enriching uranium also indicate that current policies to limit the North’s capabilities without engagement have been less than successful. 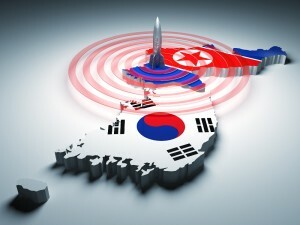 The strategic implications of the launch are therefore to pose the question whether the US, Japan and South Korea could again – either together or individually – play a long game with the North Korea challenge, taking advantage of the significant overlap in regional strategic interests with China. Finally, among all the new leaders moving into presidential and prime ministerial offices this Winter, only the South Korean president will have the flexibility and authority to make a play that alters this chessboard, and that might return first that government, and then others, to playing a more ambitious and realistic game. Perhaps the most interesting question – and one which we can only speculate about – is who would be more likely to have the ambition, vision, and political skill to move this perennial regional open wound toward healing and tension reduction, not to mention peace? Park Geun-hye or Moon Jae-in?